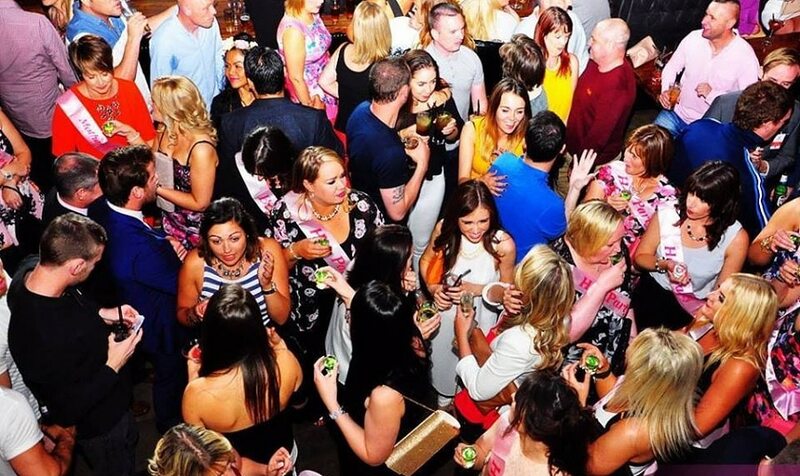 Signature Living: Plan a Liverpool Hen Do for Any Budget Here! Today hen dos are becoming ever more extravagant affairs that cost a fortune and can often involve digging out your passport and boarding a plane. Planning your Liverpool hen do with Signature Living on any budget will guarantee hens and the bride-to-be make amazing memories that last a lifetime. There’s something available for every budget from as little as £100 per person per night so read on and find out what we can organise for your amazing Liverpool hen do with Signature Living. There’s no need to compromise on the quality of your accommodation if you are planning a Liverpool hen do for a large group. At Signature Living, we’ve got a range of amazing accommodation to suit all budgets and group sizes. The LP Pool room has been voted The Best Hotel Room in the Northwest by Trivago users and its little wonder why. This spectacular suite hosts up to 24 guests in the most unique Liverpool hotel room in existence. 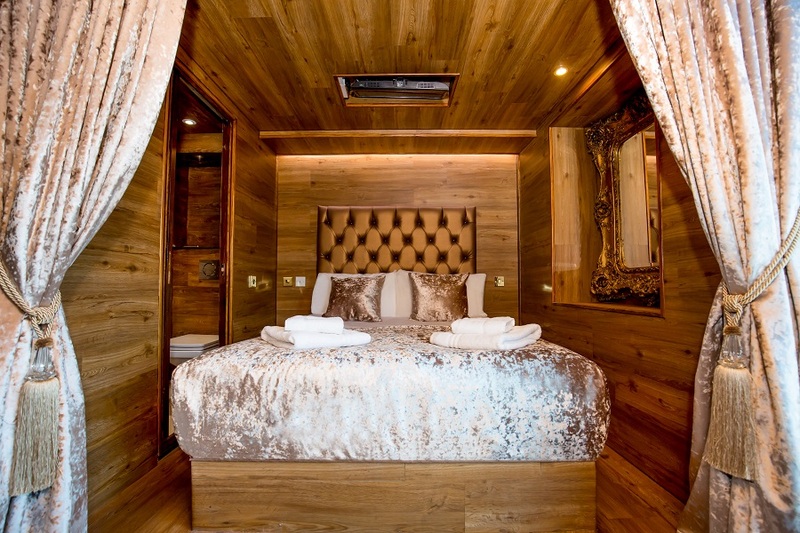 The room features 12 double beds in individual cabins complete with their very own ensuite shower rooms and flat screen TV. What makes the LP Pool room stand apart from any other hotel room is the 25-foot mosaic pool spanning the entire length of the suite. Combine this with multimedia music facilities and a private bar area and you have the most spectacular Liverpool hen do accommodation for the perfect hen party with prices starting at just £60 per person per night. Other rooms and apartments in the city can be booked using our tailor-made accommodation offers. All Signature Living hotel rooms and serviced apartments are equipped to host amazing stays in the heart of the vibrant city of Liverpool. Each serviced apartment comes complete with kitchen facilities and plenty of space to throw awesome parties. 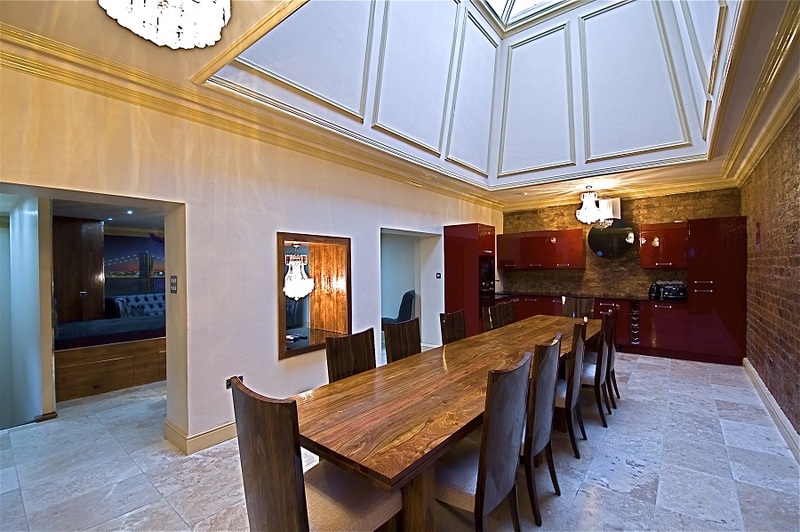 The facilities include double whirlpool baths, amazing sound systems and bar or dining space. With prices starting at just £50 per person per night you needn’t go out at all when staying in a Signature Living serviced apartment. Every room is unique and has its very own special theme which ensures no two experiences are ever the same when staying at Signature Living. At Signature Living we know that the perfect Liverpool hen do isn’t just about finding the right accommodation or amazing nightlife. The best hen parties involve fun activities and quality entertainment to break the ice among strangers and bring the group together. That’s why we have tailor-made some amazing event nights, fun-filled activities and fabulous packages to make your Liverpool hen do the best it can be no matter what your budget. Taking place in Arthouse Hotel our Magic Mike Nights are a spectacular Liverpool event night for hen parties to enjoy. Book your party to attend a Magic Mike Night and experience a one of a kind male revue that’s sure to get your pulses racing. It’s a night of naughty fun and games topped off with a show put on by some incredibly talented male individuals, there for your pleasure and entertainment only. Tickets to attend a Magic Mike Night are just £15 per person. Our resident Samba dancers at Alma de Cuba are impressive and mesmerising. Book your Liverpool hen do a Samba Dance lesson and learn to shake what your mamma gave you samba style. We will give you and your hens the tools to impress on the dancefloors of Liverpool during your stay in the city with a lesson from one of our very own sequin-clad samba ladies. Before you know it you and your hens will be shimmying along to the sound of samba music like a pro. 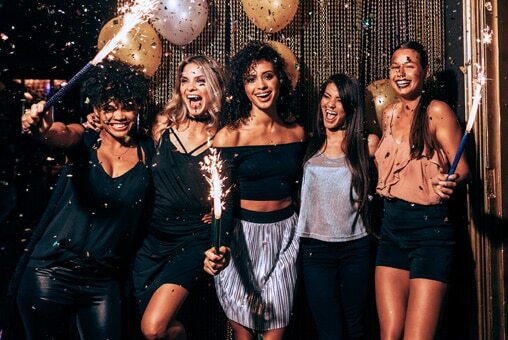 Just £35 per person including a glass of bubbly each and the perfect Liverpool hen do an activity that everyone can enjoy. After all this dancing and partying you and the ladies may need a little refreshing downtime. 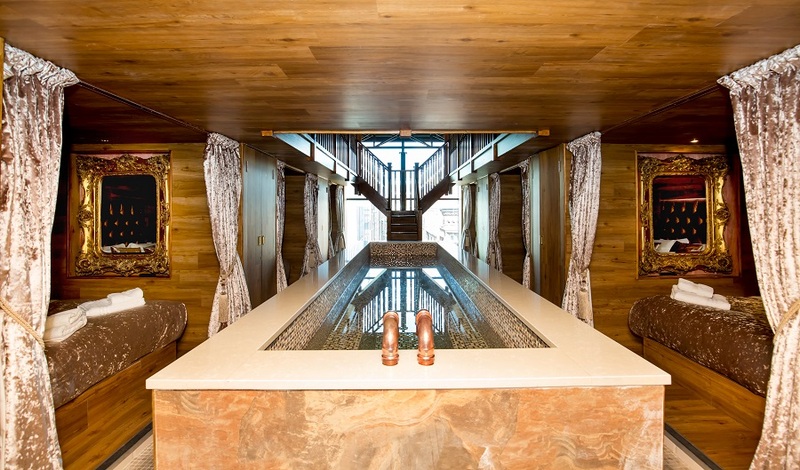 Luckily Signature Living own and operate a quality Liverpool spa in the depths of 30 James Street. Morgan’s Spa has a range of beauty treatments as well as a long list of spa therapies and treatments starting at just £35 per person. Book your hen party in for a rejuvenating visit to Morgan’s Spa and spoil the lady of the hour with a full head to toe pamper experience whilst you and the other hens relax in the tranquil bar space or hydrotherapy pool. For large groups of 25 or more, the entire spa can be booked (subject to availability) exclusively for that party. Check out the range of treatments on offer here and spoil yourselves at Morgan’s Spa during your Liverpool hen do at Signature Living. If samba isn’t your style why not try your hand at another style of dancing from a huge selection of lessons taught at Signature Living dance classes. You and the ladies can become Beyoncé and her single ladies for the day or take a trip back in time and try your hand at recreating the magic of Grease the movie. Lessons are varied and include learning themed routines for your chosen genre, bottles of bubbly for the bride-to-be and dance-based games to break the ice. Our resident dance teacher is professionally trained, and lessons will include warm ups and cool downs as well as the ability to perfect your dance moves for later in the club. Prices start from £25 per person for groups of 20+ and are the ideal Liverpool hen do activity to bring everyone together. Get a lesson in the art of cocktail mixology in any one of our fabulous bars in Liverpool by booking your hen party a cocktail masterclass. This popular package gets any party started and includes fun and games where the bride-to-be as the centre of attention, welcome shots and two delicious cocktails from the extensive and creative menus. Prices start at just £20 per person and for larger groups of 12 or more, the Bride-to-be goes free. There is so much to see and do in Liverpool when booking your Liverpool hen do with Signature Living we can make sure your weekend is fun-filled, relaxing and entertaining. Better still we can take care of booking any package you desire and help you plan the perfect timetable to suit every member of your party all within your required budget. Finding the perfect place to eat in Liverpool that suites the tastes of your entire hen party could prove tricky. At Signature Living, we’ve taken care of that by creating four fabulous restaurants in the heart of Liverpool each offering a variety of delicious foods each served in dynamic surroundings. 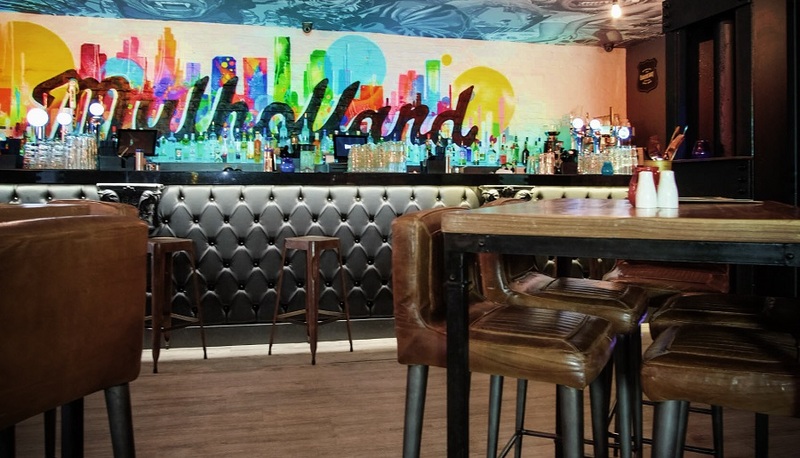 For brilliant breakfasts and the perfect pizza make your way to Mulholland on Seel Street. Here you and your party can enjoy movie-themed snacks ideal for sharing with prices starting at less than a fiver. Located inside the award-winning Shankly Hotel The Bastion Bar and Restaurant provides a mouth-watering menu of dishes to please all diners. The Bastion menu is made up of classic dishes with modern twists and space ideal for large groups of guests dining together. The A la Carte menu prices begin at £15 for main courses with options for delicious starters and delectable desserts. 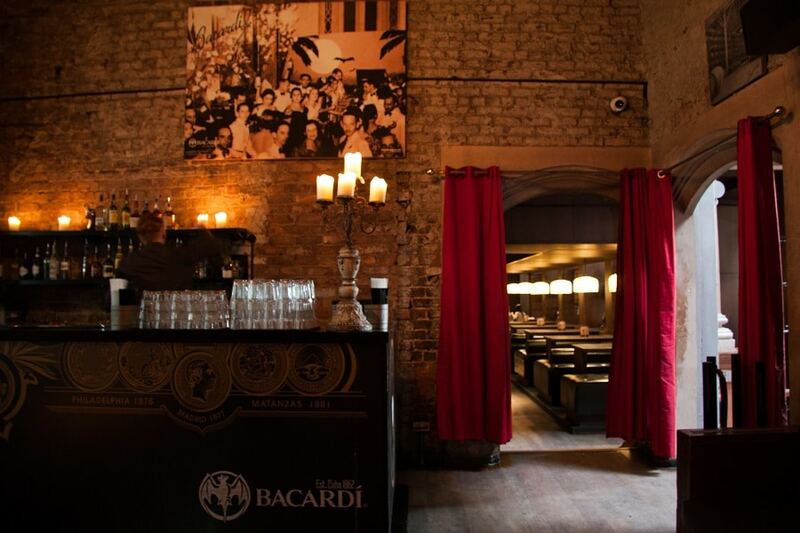 One of Signature Living’s latest and most exciting acquisitions, the beautiful Alma de Cuba has long been a part of Liverpool’s social scene with an exotic Cuban themed menu. The venue itself is exquisite and has a menu to match including indoor BBQ and South American influenced recipes for meat, fish and vegetarian options. Large groups can easily be seated within elegant surroundings to enjoy their meal and the stunning setting of St Peters Church. Prices start at just £12 for main courses and there are also amazing selections of tapas style starter dishes to choose from. 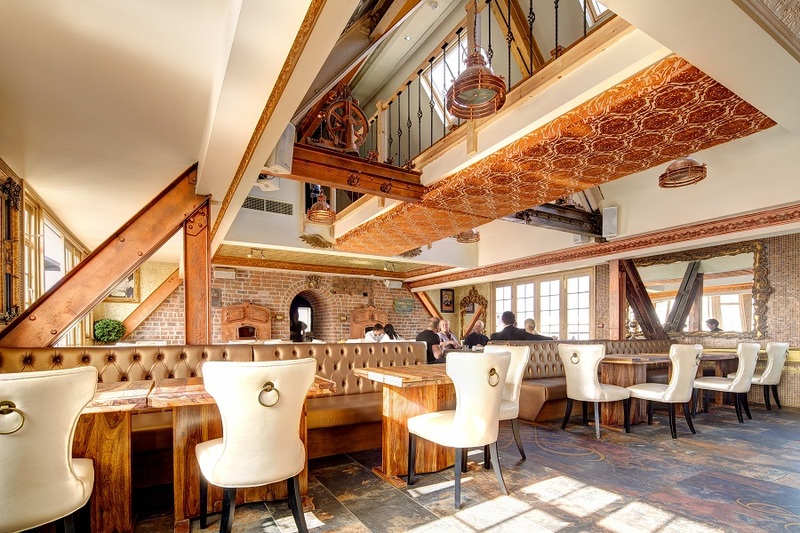 Finally, when booking your Liverpool hen do meal consider Carpathia where diners can enjoy a delightful menu of fine dining dishes served inside a beautiful rooftop waterfront restaurant with exquisite views. The menu from Carpathia is based on first-class dining from the days of luxury cruise travel associated with RMS Titanic and the White Star Line. 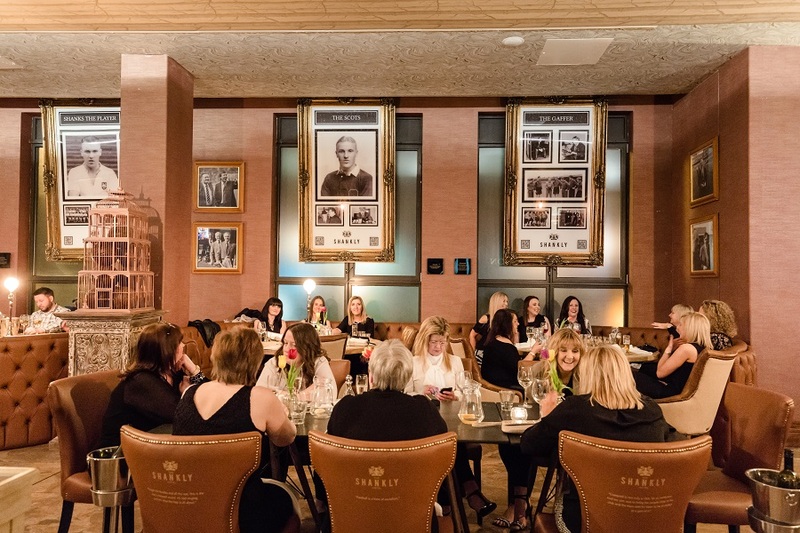 For a truly elegant dining experience, your Liverpool hen do need to look no further that Carpathia. Prices main course prices start at around £15 with options for scrumptious desserts and delicious starters. Liverpool’s nightlife is famed across the country as being dynamic, friendly and fun. What more could you ask for when booking a Liverpool hen do for you and your bride-to-be? 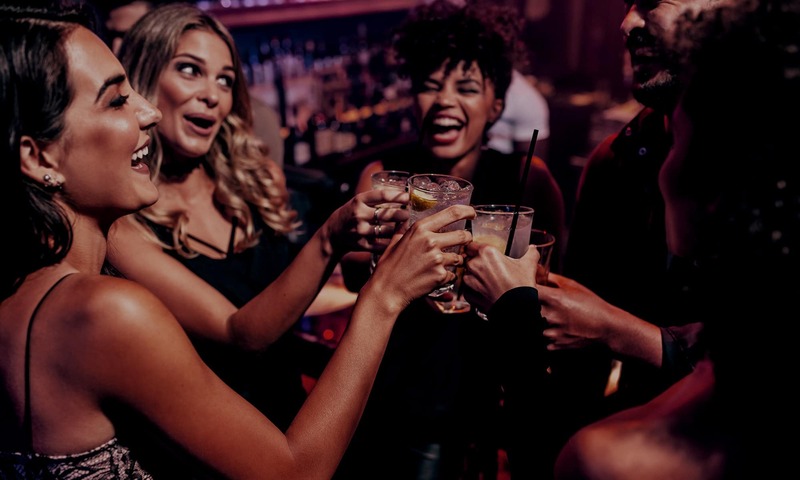 On top of all the amazing nightlife hotspots in the city Signature Living’s own establishments offer the perfect party atmosphere for hen dos to enjoy during their stay. Based at the bottom of Liverpool’s most iconic street, Bar Signature is among the city’s most well-established nightlife venues. The bar itself offers a wide range of tasty cocktails two for £10 as well as premium spirits and the perfect party soundtrack for a memorable hen party. For the ultimate retro night out and perfect Liverpool hen do venue make your way to The Tube on Mathew Street. 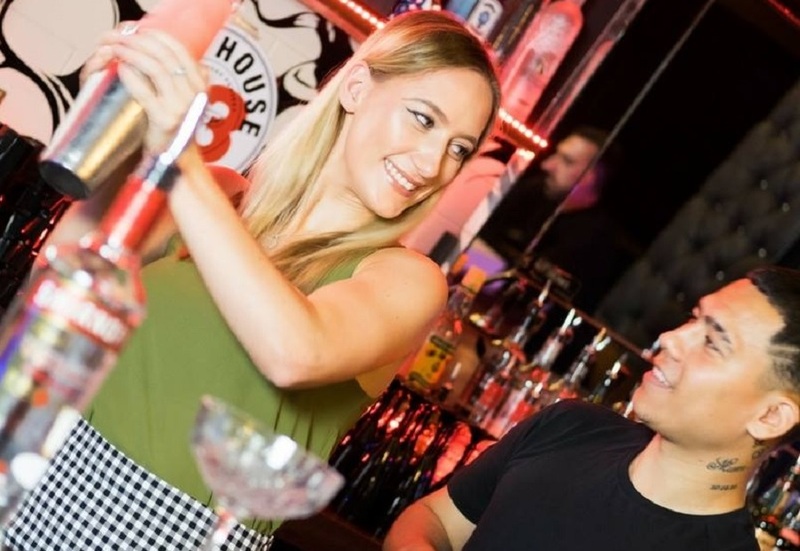 Known as the cities top retro bar and club, The Tube plays nonstop floor filling party hits from decades gone by filling your Liverpool hen do with sounds of the 60s and 70s. The cheap and cheerful drinks offer will be sure to keep the party going all night long. 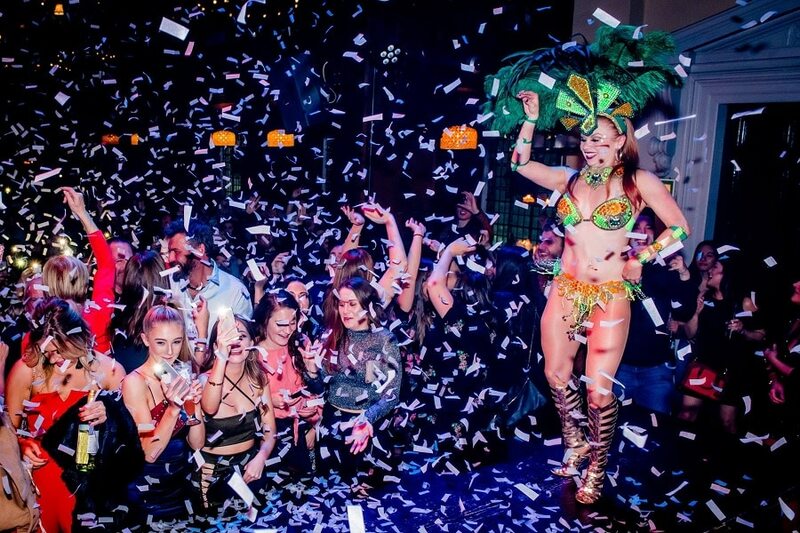 Between the amazing atmosphere and the superb Voodoo evening show, Alma de Cuba is the ideal bar choice for unforgettable Liverpool hen do. Here expertly crafted cocktails are made up from premium spirits and other exotic ingredients ranging from £7-£10. If you feel like pushing your budget further your group can purchase bottles of first class spirits and champagne ranging from £90 – £225. Giving every hen do a touch of class our Signature Living afternoon teas are legendary across the city. We offer everything from the classic afternoon tea served in either The Bastion or Carpathia to a selection of uniquely themed options. We also offer a monthly swing afternoon tea served in The White Star Grand Hall at 30 James Street. Coincide your Liverpool hen do with this amazing event and enjoy a classic afternoon tea accompanied by live swing entertainment. 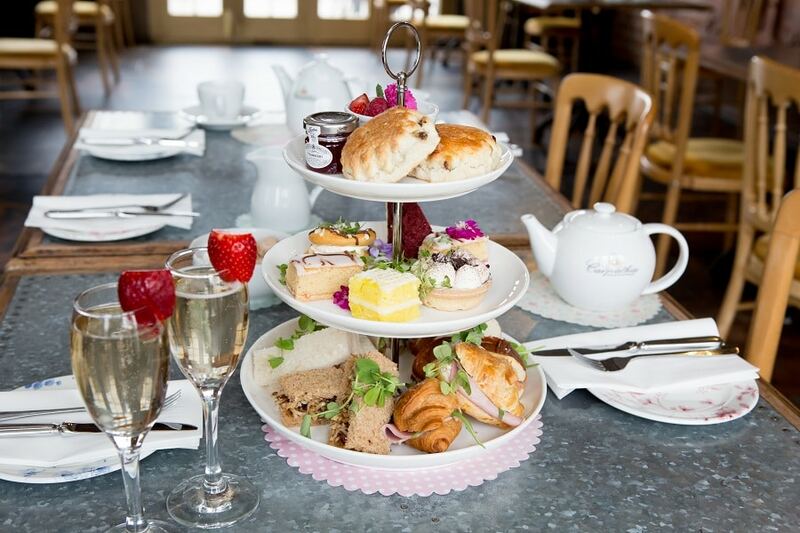 Alternatively, you could book your Liverpool hen do afternoon tea at Alma de Cuba where afternoon tea has been given the Latin touch. 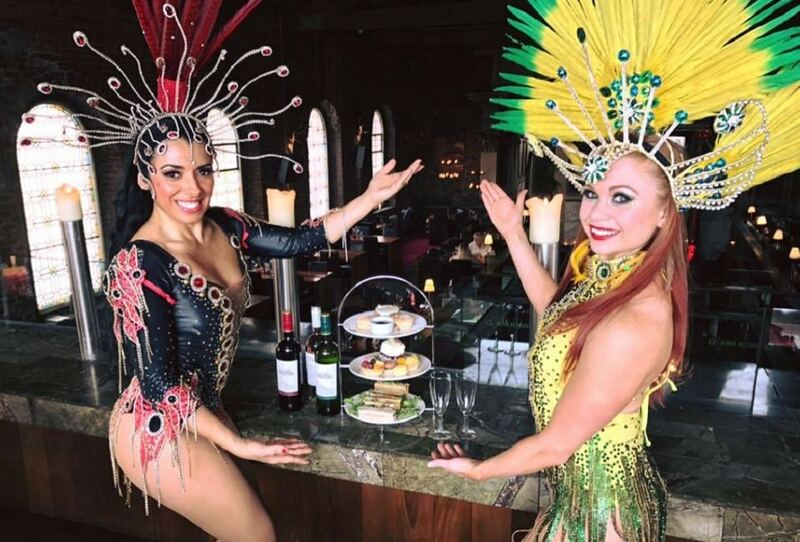 Finger food inspired by South American recipes will be paired with a show from our resident samba dancers, followed by an invitation to get up and join in the dance in a Brazilian style conga line just £29.95 per person. Other themed afternoon teas take place throughout the month in the stunning Garden of Eden rooftop events venue, simply ask what’s on during your stay and our team will advise you of your options. At Signature Living, we designed and created the perfect party packages, luxurious group accommodation and amazing city centre bars to provide visitors to Liverpool the best experience possible. We are famous for bringing groups of guests together and making sure they have the best experience possible with Signature Living. Our Liverpool hen do reviews show how successful we are at helping guests make amazing memories during their stay. Simply call our friendly reservations staff and let them know your budget per person. They will then tailor an amazing weekend that is both affordable and enjoyable for you and your hens. We have a range of packages not mentioned above that can be personalised to suit your stay and our group accommodation is in the heart of the city, no matter which venue you chose to stay in. 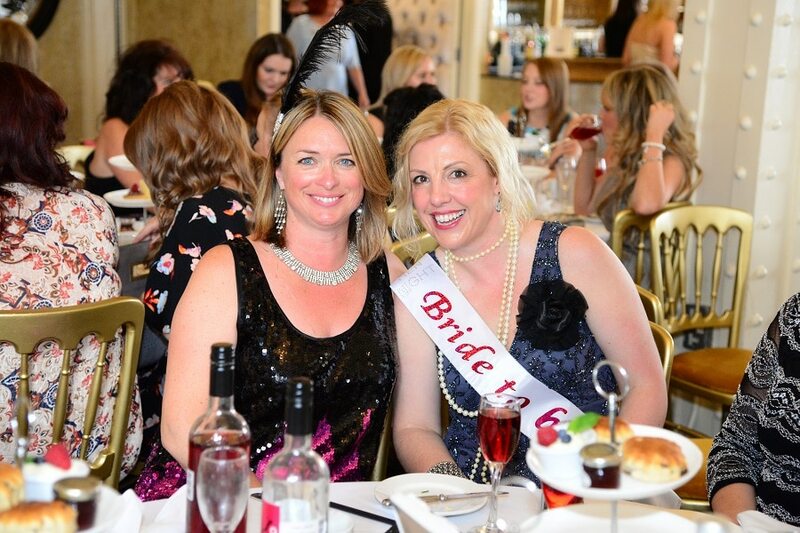 Call now to see what we can arrange for you and start planning the most unforgettable Liverpool hen do for the bride-to-be with Signature Living. Our team are available on 0151 236 0166 or can also be reached via email at info@signaturelliving.co.uk.